Most scholars agree that the nuts referred to in our text are pistachio nuts. Did you know that the pistachio nut is full of nutrition? It is said that the pistachio nut may help reduce the risk of heart disease. 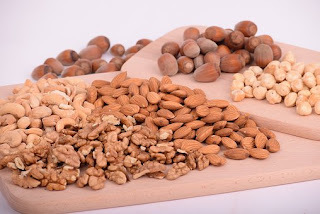 The nut also helps to calm acute stress. It is also believed that the pistachio can help in the area of weight management. It is also filled with fiber and vitamins. I enjoy eating pistachio nuts simply because I think they are delicious. According to Genesis 43:11, they were also used as a prized gift. When my wife and I were in Israel, our Israeli tour guide for some reason connected with the two of us. One day to our great amazement, he gave us a gift. To my wife, he gave an expensive piece of jewelry; and I received a container of pistachio nuts. Now, on the surface it appears as though my wife got the better gift; but according to the custom of the Middle East, a gift of jewelry for the women is the highest form of a compliment; and for men – you guessed it – either ointment, fruit, or pistachio nuts. If you buy pistachio nuts fresh in the Middle East, they are quite expensive: around $20.00 a pound. Their high price is doubtless one of the reasons they are considered such a great gift. I am reminded of another gift that came at a high price. That gift is our salvation; and the price is the blood of Jesus Christ. So the next time you see or hear of a pistachio nut, remember what Jesus did for you on Calvary. ✞ Every time you think of the pistachio, let it remind you of what we have through Jesus Christ: everlasting life.